If you love Dolores Cannon’s work, you will love this show. Candace Craw-Goldman practices Dolores’ method of Quantum Healing Hypnosis! (QHHT) and assisted the great master for years before her passing. Tonight’s show features the fascinating case of the reincarnated baseball great, Lou Gehrig! 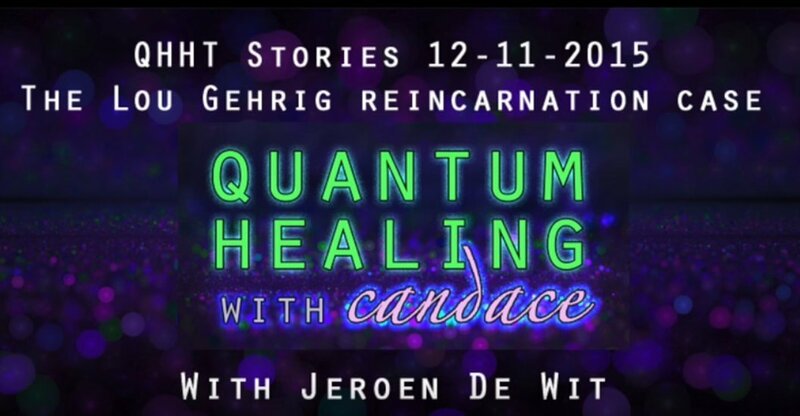 Join Candace as she talks with Jeroen De Wit, who, using Dolores’ amazing method of QHHT with client Cathy Byrd whose then 3 year old toddler started telling her he used to be a tall German baseball player. She sought out Jeroen to experience a Past Life Regression. During this session and subsequent ones, they came to find out that she was her current son’s mom in a past life too; that he was baseball legend Lou Gehrig and she was his mom, Christina Gehrig! Cathy Byrd herself joined us during the show!